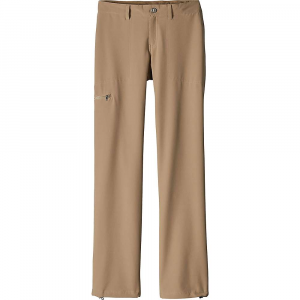 Made with a lightweight blend of 88% polyester/12% spandex that has a DWR (durable water repellent) finish and provides 50+ UPF sun protection, these versatile hiking pants feature 4-way stretch, a fast dry time and a hidden drawstring at the waist for a comfortable fit. When you try on the Patagonia Women's Happy Hike Pants, you won't have to try hard to imagine yourself exploring newly discovered ruins in Rome or hitting the trails in Isle Royale National Park. 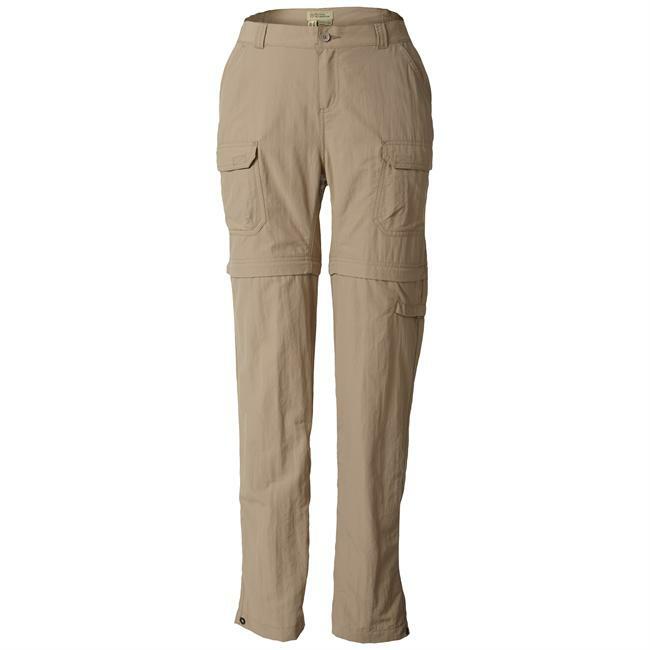 Light and stretchy fabric and a forgiving back yoke make the Happy Hike Pant easy to keep on all day long, and its regular fit and straight leg style fits as well with hiking boots and a flannel in the Rockies as it does with sandals and a tank for a post-hike dinner in Athens. 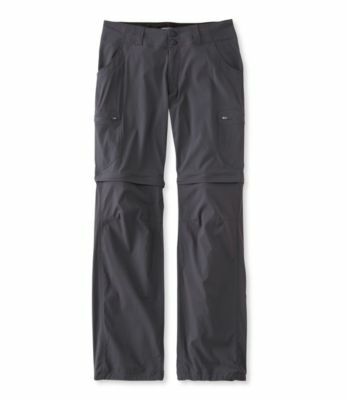 If you happen to plant a paw in a puddle or encounter warmer temps than you expected on-trail, rest assured that these pants will dry quickly and continuously pull moisture away from your skin to make sure clamminess doesn't ruin your day, and the elastic cuffs allow you to roll them up easily to cool off. Pockets in front and back give you immediate access to hike snacks and a camera to capture all of those world-famous sites you're checking off your bucket list. Most hiking pants require 4-way stretch-five if you include bad weather. These are made from 88 polyester/12 spandex fabric that shakes off wrinkles dries in minutes and has an easy drape. The low-rise waistband has belt loops and a hidden drawcord for added adjustability. They feature front drop-in pockets two back pockets (one drop-in and one zippered) and a security thigh pocket. Straight leg. Inseam is 32" (size 8). Hiking pants require 4-way stretch-five if you include bad weather. 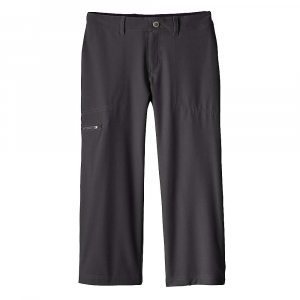 Patagonia Happy Hike pants use 88% polyester/12% spandex fabric to shake off wrinkles, dry in minutes and offer an easy drape.